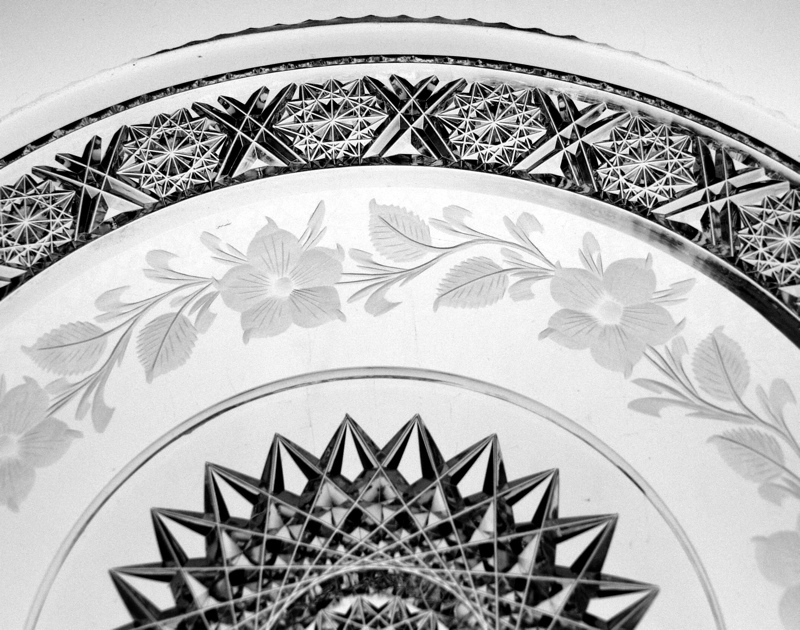 This beautiful Tuthill plate is in their Rosaceae pattern and is signed in the center of the underside. The plate is unusual in that it has a wafer base surrounding the central hobstar (Tuthill used this blank more often than most other companies). The Rosaceae pattern exemplifies what Tuthill is most well-known for – combining brilliant cutting with realistic engraving. 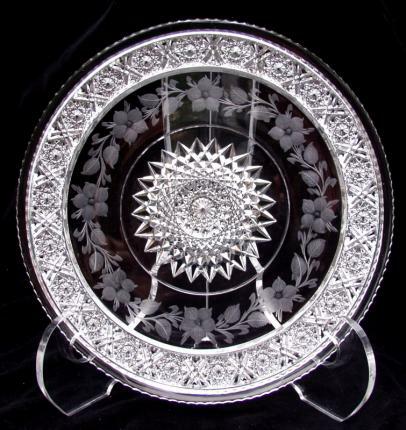 The central 24-point hobstar is surrounded by a wreath of Rosaceae engraving. The edge is finished with the Tuthill chain of hobstars which is also featured on several of their other patterns including Vintage. The edge also has that signature Tuthill coined edge. The plate is in perfect condition with hardly a scratch. It measures 10″ in diameter and 1 1/8″ tall. The blank is remarkably clear and displays this beautiful combination of cutting and engraving exceptionally.